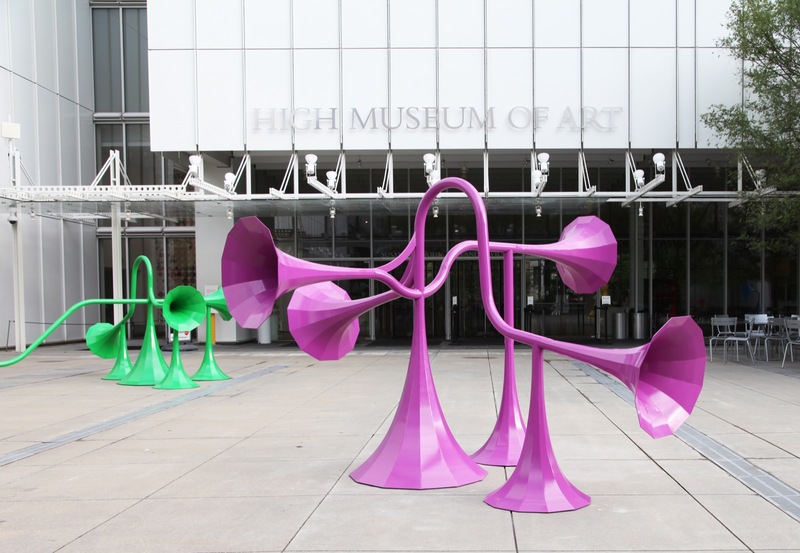 The project is part of the High’s multi year initiative to animate its outdoor space with commissions that engage visitors in participatory art experiences. 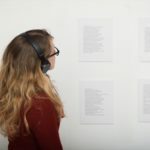 It is the High’s first venture into exploring the notion of audible play—how the sounds all around us can be constructed, altered and experienced. 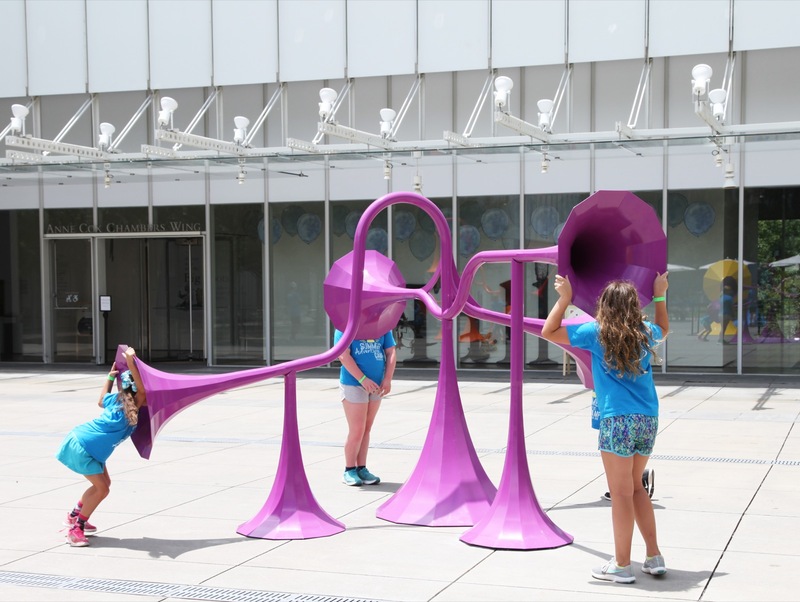 The installation transforms the piazza into a welcoming atmosphere for socializing and recreation serves as a stage for performances and art-making activities the High will be co-organizing with local arts organizations. 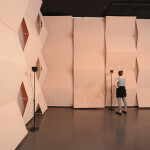 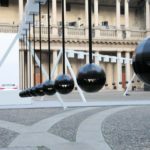 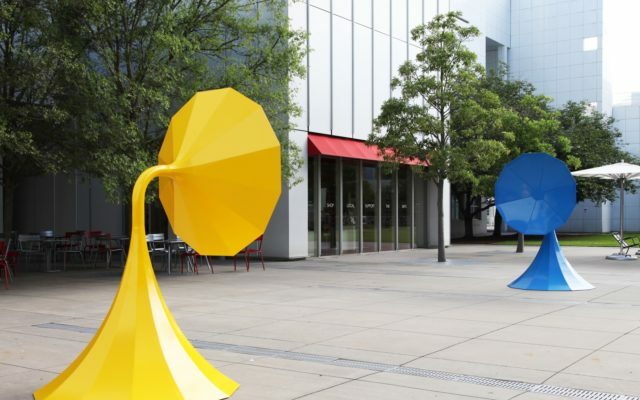 This installation is made up of 6 interactive sound sculptures that manipulate sound depending on where you are standing, listening or speaking. 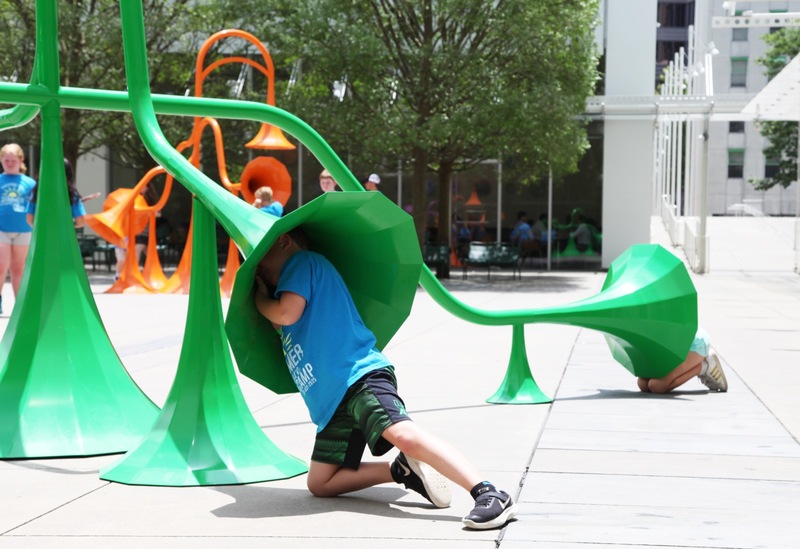 Using horns and pipes the specially computed acoustics travel from one end to the other in a playful way, by kneeling down to listen or sitting between two pipes sounds are transported from different parts of the sculptures and create a fun and unique listening experience. 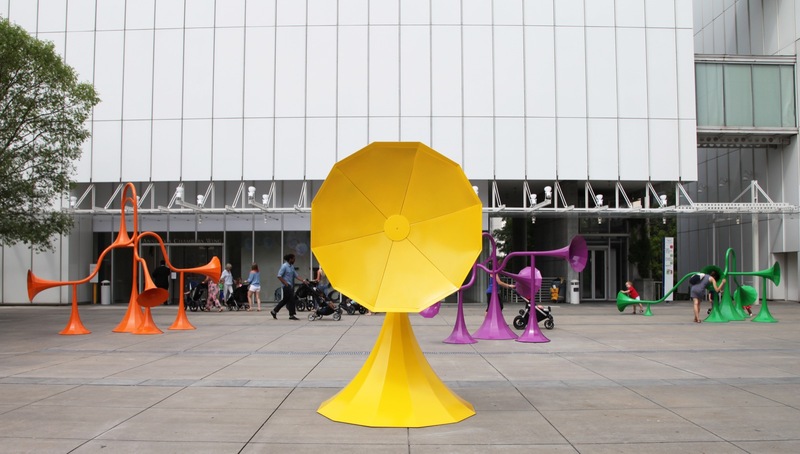 The main material of the pieces is steel, powder coated to give a matte painted finish in bright playful colours. 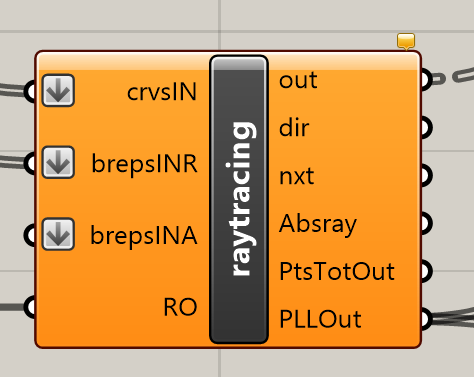 The main brain of the Grasshopper patch is the raytracing component. 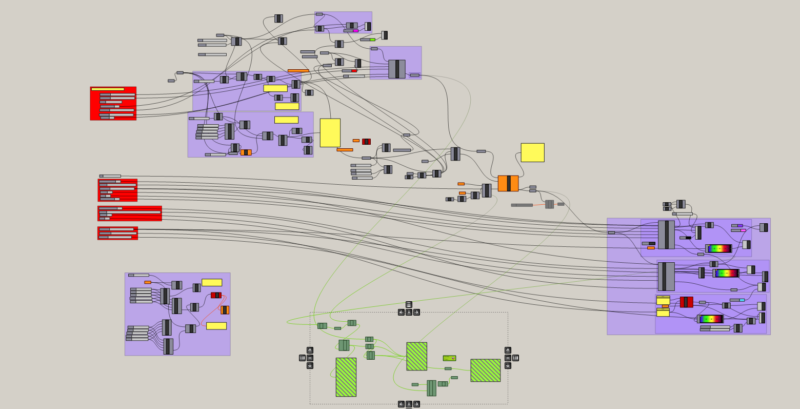 The software used to develop and optimise the various pieces in the installation is designed by Luca Dellatorre using Grasshopper, as a parametric design plug-in in Rhinoceros. 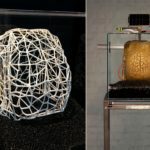 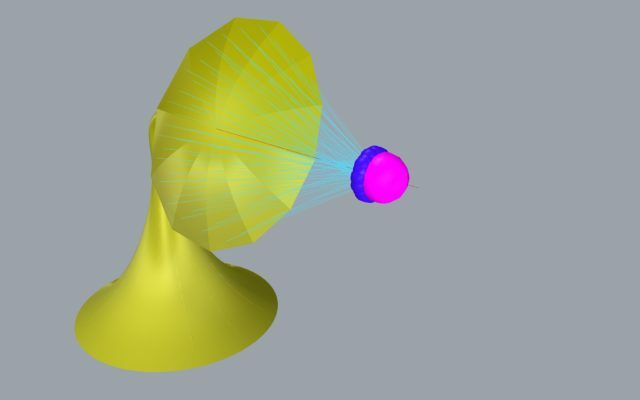 Luca explains that Grasshopper and Rhinoceros are 3D geometrical software and not necessarily acoustic software but that being said even if the sound has a wave behaviour, in certain situations and for certain frequency ranges can be simulated using ray tracing techniques. 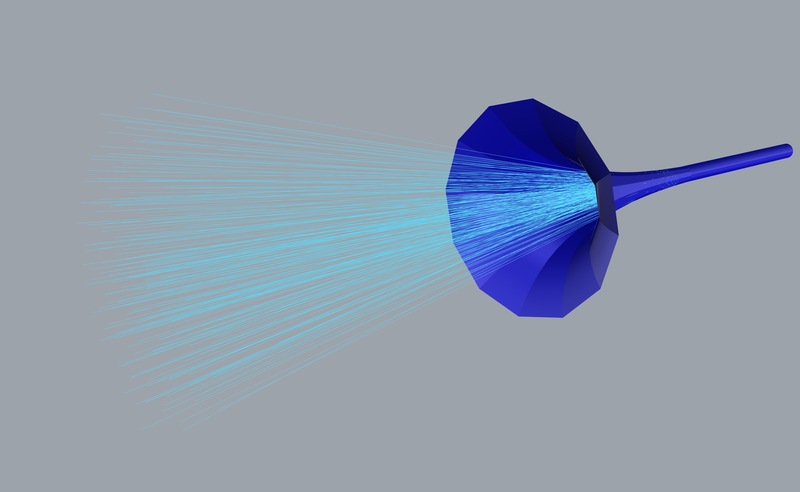 As a result, Luca used Rhinoceros 3D environment for acoustic applications. 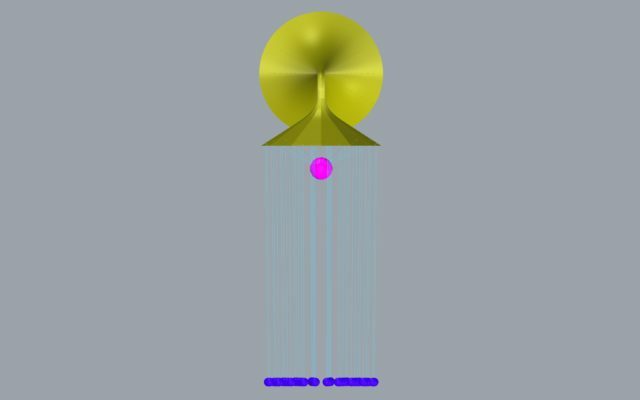 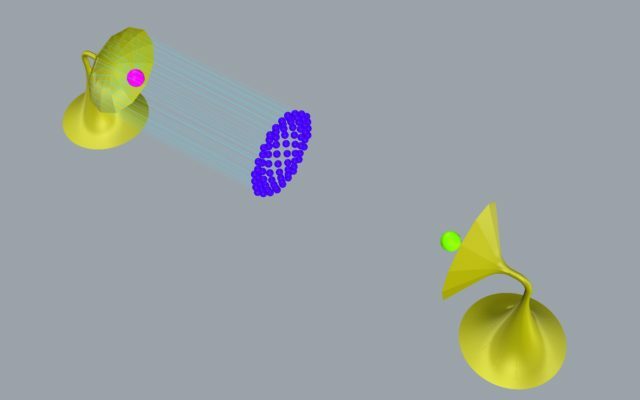 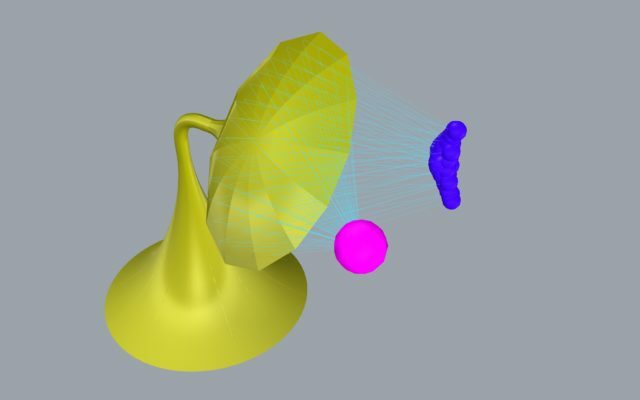 The plug in he wrote is a 3D raytracing tool that allows the user to select a sound source and send sound in a certain direction or towards a certain geometry, in this case the shape of the acoustic mirrors or the bells at the start and end of the pipes to see how the sound is reflected and what is the interaction with the object. 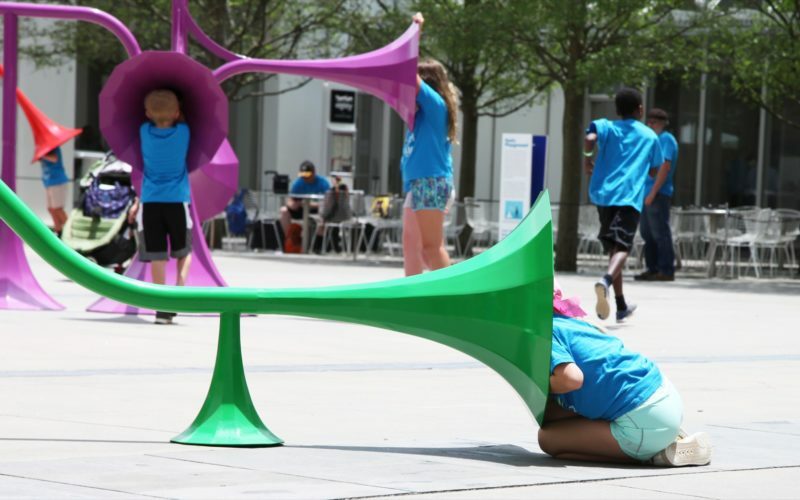 This is method is generally used in the design for example of the internal surfaces of a concert hall to maximise the sound that reaches the audience and provide envelopment, strong lateral reflections etc. 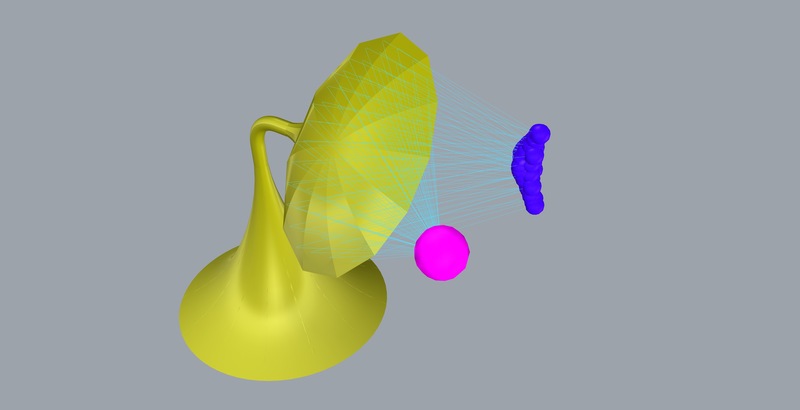 In the case of Sonic Playground this was used to evaluate different shapes for the mirrors and how the reflections can change and so how the sound effect is changed. For the bells in particular this allowed the optimisation of the bells geometry to capture as much sound as possible when the bell is used on the sound source side and to spread the sound when it is used on the receiver end. 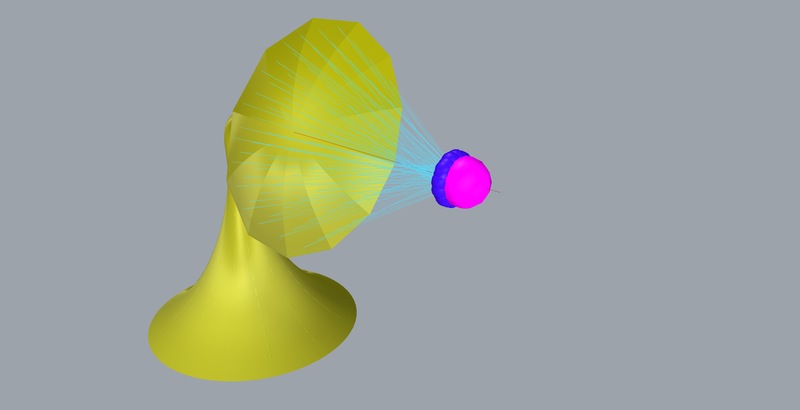 Once the parametric model of the geometry is connected to the raytracing plug in then it is quick to generate multiple shapes and evaluate them pretty much in real time. 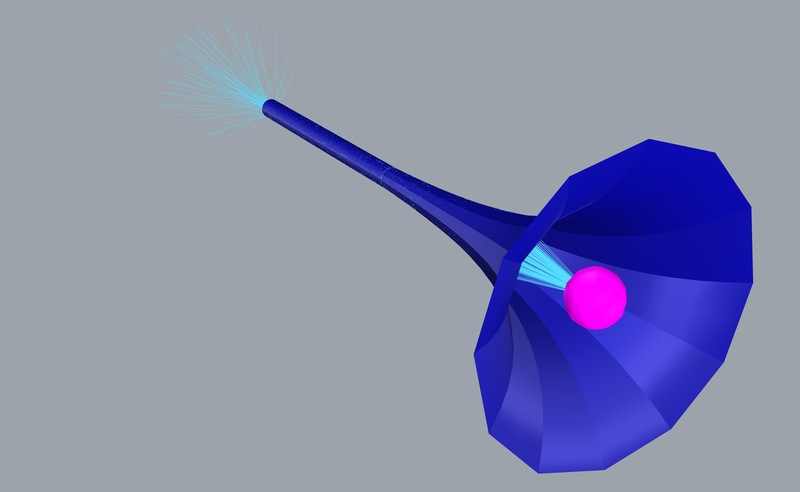 It is also possible to connect the model to the genetic algorithm plug in in Grasshopper called Galapagos to test thousands of possible viable solutions. 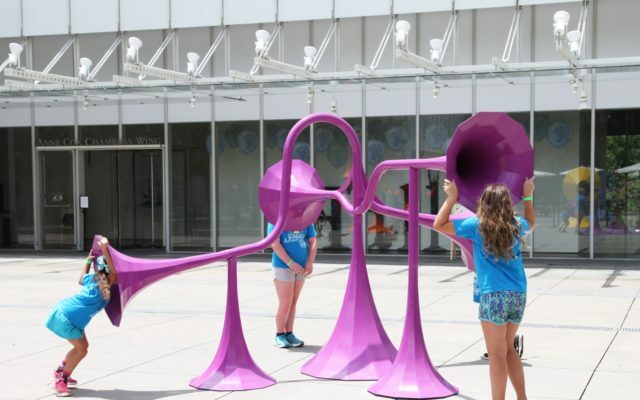 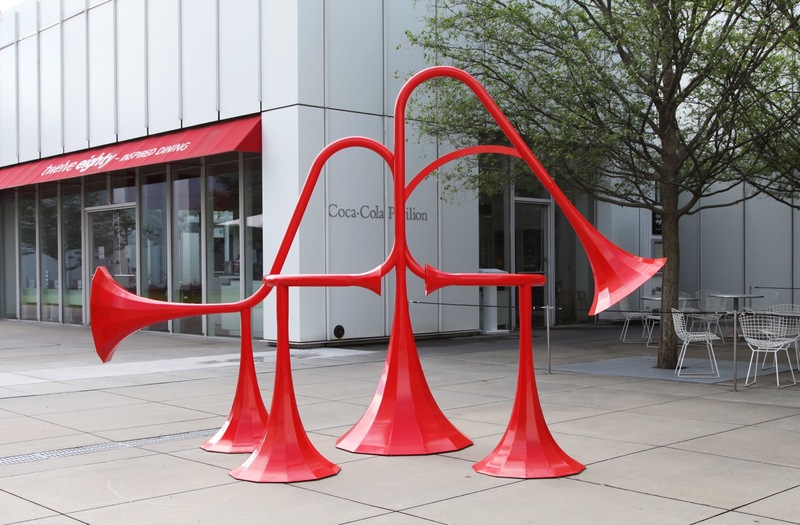 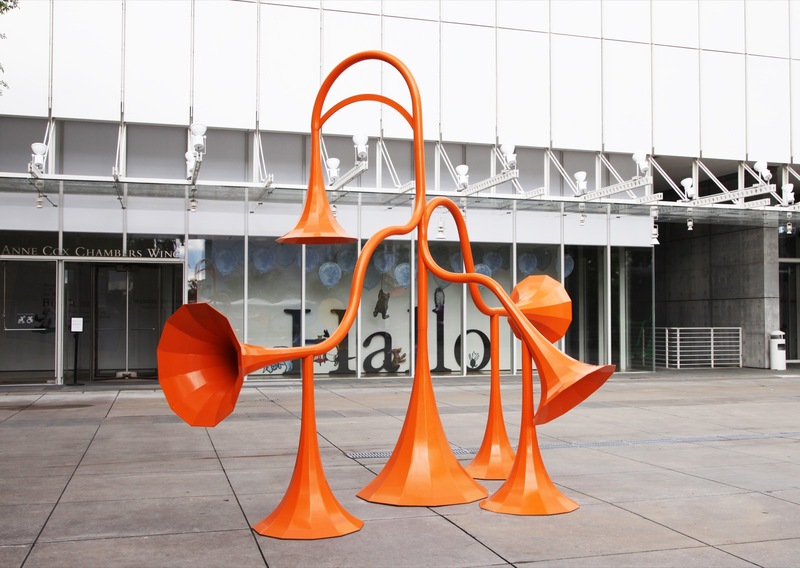 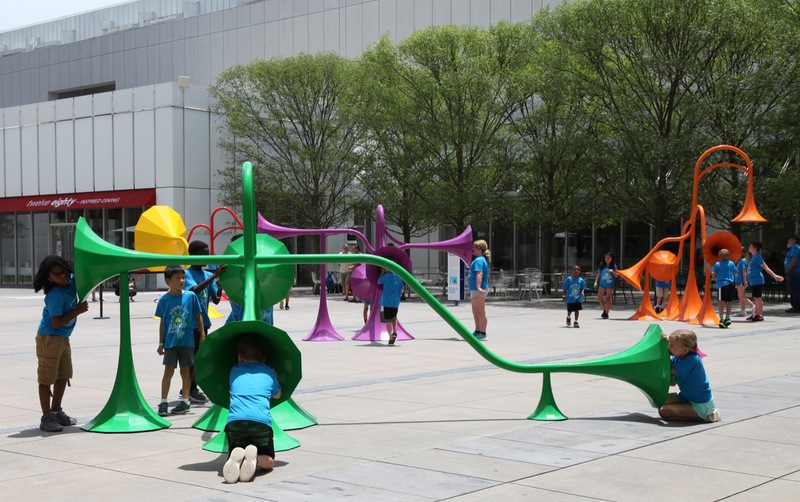 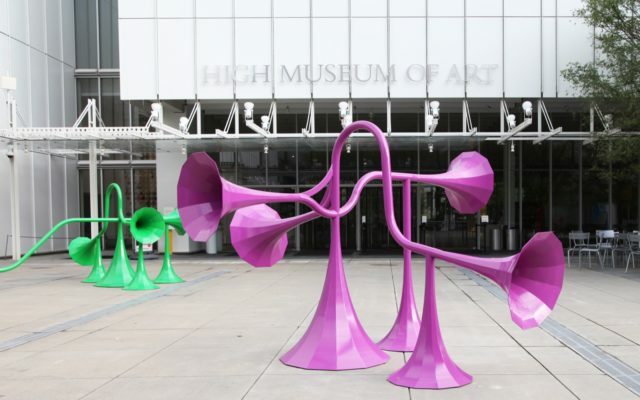 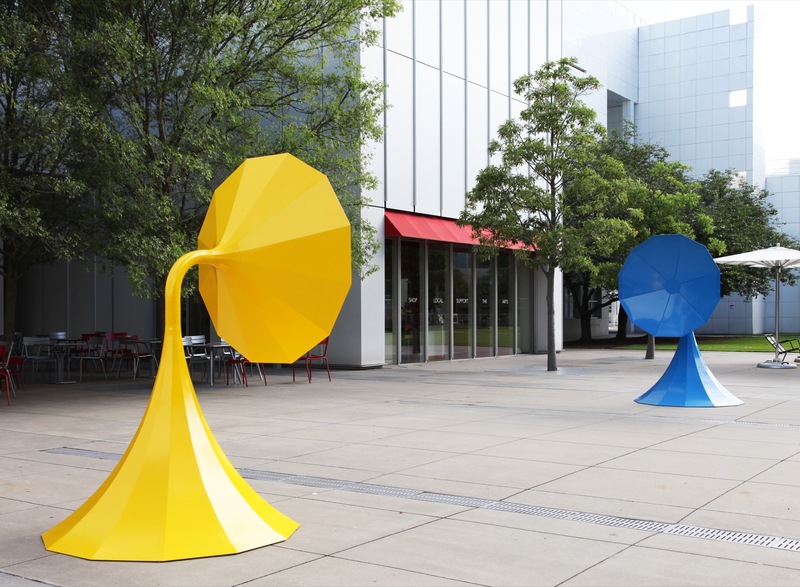 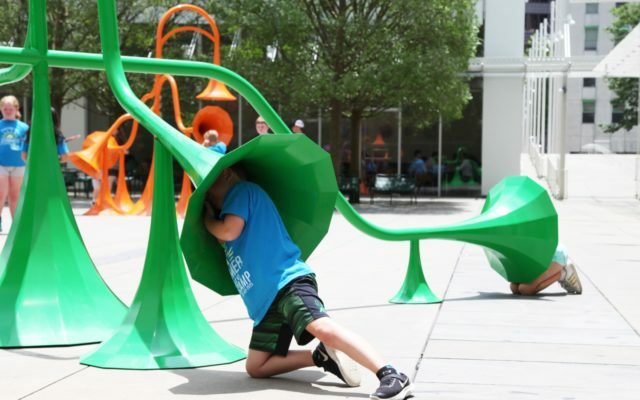 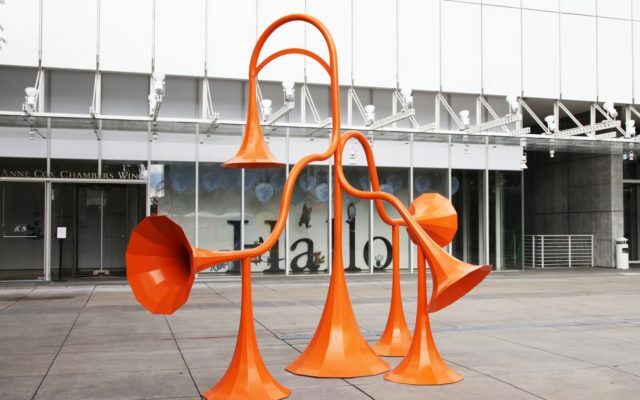 Sonic Playground is currently on display until 7th October at the High Museum of Art, 1280 Peachtree Street, N.E. Atlanta, Georgia 30309.